2014 Annual Town Election Results, Congratulations Mr. Mandell! A total of 437 voters made the annual trip to the town hall to exercise their constitutional right to participate in forming the government of their community. All that's left to do is sever Big Jim's wife from the food chain, It would be like cutting the ears off of the elephant! Posted on 9 Jun 2014, 21:11 by My vote made a difference! that be & saw we needed help! let's keep the good ball rolling for Holland! Go Holland...This is a great start getting rid of this lying snake. But he still has a lot of appointees on town boards whose only qualifications are knowing King James. Congrats Mr Mandell..You are Selectman now. 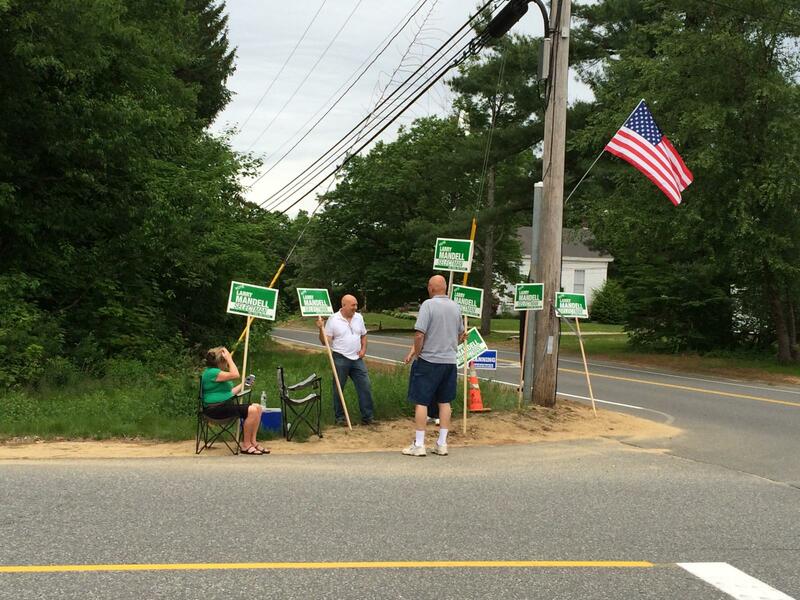 Lynn Arnold it is best for the town for you to only hold 1 position.. If you can fill seats with diffrent people then the town benifits.. Well done Holland no start searching for a qualified Highway super for next time BJ comes up.. Better Yet .. recall Brian Johnson..! It looks like "The Man In The Mirror" is going to like his reflection in the morning. He got up ,got out, and cast his ballot to make a CHANGE! Thank everybody who voted for a better Holland. The irony is that Wettlaufer attempted to destroy me and destroyed himself in the process. In the last seven days, Google Analytics counted 1503 hits for the Holland Blog, the total time spent reading the Holland Blog was 208 hours and 55 minutes. Just yesterday, Google Analytics counted 831 hits! There is still a lot to do to make Holland a better place. There are still three dishonest self serving individuals in office which need to go. The next one on my list is Brian Johnson. Just goes to show.. The Blog is mightier than the Hog. "James & Heather Wettlaufer, not true!" with 80 visits. How is it that a member of the finance board is married to head of library trustees when finance committee makes decisions on library budget? Isn't that a major conflict of interest of not illegal?